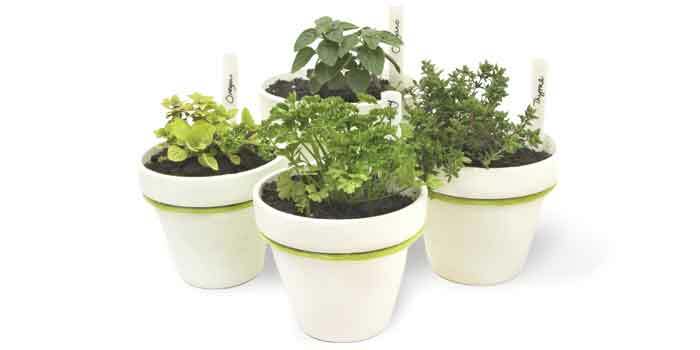 Fresh, home-grown herbs make the perfect accent to home-cooked meals. Cream butter, and stir in herbs. Chill for at least 3 hours to allow flavors to blend. Use with seafood, vegetables, and breads. Combine the tomatoes, bell pepper, onion, salt, cayenne, ground cumin, and lime juice. Taste, and adjust seasonings if necessary. Just before serving, add cilantro. Serve with grilled meats, burgers, and sandwiches. Bring a large pot of water to a boil, and salt it. Cook the pasta until it is tender but just short of the point at which you want to eat it. Meanwhile, place the butter and olive oil in a skillet or saucepan large enough to hold the cooked pasta; turn the heat to medium, and add the sage. Cook until the butter and oil begin to brown and the sage shrivels. Turn the heat down to low. When the pasta is almost done, scoop out a cupful of the cooking water and set aside. Drain the pasta, immediately add it to the sage mixture, and raise the heat to medium. Add 1⁄2 cup of the reserved water, and stir. Cook for about 30 seconds or until some of the water is absorbed and the pasta is perfectly done. Next, stir in the cheese until the sauce becomes creamy. Thin it with a little more water if necessary. Season liberally with pepper, and salt to taste. Serve immediately. a large slotted spoon until well combined. Divide bread mixture among ramekins, filling each ¾-full. Put ramekins on a baking sheet. Bake for 25-35 minutes, until puffed and golden. Remove from oven, and let stand for 5 minutes. With a flexible spatula, remove strata to plates. Drizzle crème fraîche over strata. Sprinkle with a little paprika, and top with a sprig of fresh rosemary to serve. Yields 8 servings. — North Carolina Bed & Breakfast Cookbook, C.W. Worth House, 3D Press, Boulder, Colorado, 2005, $19.95. This article and recipes by Erica Derr first appeared in the August 2007 issue of Our State.